“Call for Artists’ Books”, the Centre for Artists’ Publications invited artists from throughout the world to participate in this international exhibition. 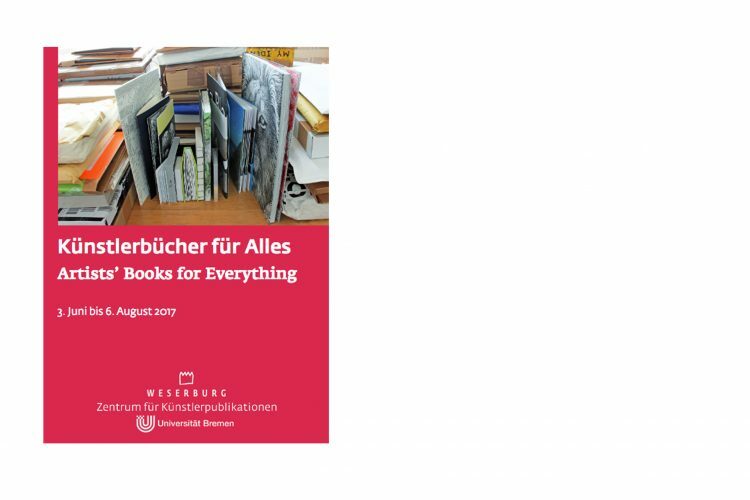 It includes artists’ books produced in the last fi ve years and aims to present an overview of the evolution and dissemination of artists’ books today and to illustrate the diversity of this genre. “The QuestionsLibrary Catalogue” a book by Claudia de la Torre published under Edition Fink will be shown. June 3th – August 6th 2017 | Zentrum für Künstlerpublikationen, Weseburg, Bremen | Opening: June 2th, 2017, 19h | People involved: Claudia de la Torre, and many dear publisher and artist friends.